the wheelchair from which he has spent more than twenty years trapped by Lou Gehrig's disease, Stephen Hawking has transformed our view of the universe. Cogently explained, passionately revealed, A Brief History of Time is the story of the ultimate quest for knowledge: the ongoing search for the tantalizing secrets at the heart of time and space. teacher and a tutor before getting a job, in 1902, as an examiner for a Swiss patent office in Bern. In 1905, he received his doctorate from the University of Zurich for a theoretical dissertation on the dimension of molecules. Einstein also published three theoretical papers of central importance to the development of 20th Century physics. The first was entitled "Brownian Motion," and the second "Photoelectric Effort," which was a revolutionary way of thinking and contradicted tradition. No one accepted the proposals of the first two papers. Then the third one was published in 1905 and called "On the Electrodynamics of Moving Bodies." Einstein's words became what is known today as the special theory of relativity and said that the physical laws are the same in all inertial reference systems and that the speed of light in a vacuum is a universal constant. Virtually no one understood or supported Einstein's argument. Einstein left the patent office in 1907 and received his first academic appointment at the University of Zurich in 1909. In 1911, he moved to a German speaking university in Prague, but returned to Swiss National Polytechnic in Zurich in 1912. By 1914, Einstein was appointed director of the Kaiser Wilhelm Institute of Physics in Berlin. His chief patron in those early days was German physicist Max Planck and lent much credibility to Einstein's work. Einstein began working on generalizing and extending his theory of relativity, but the full general theory was not published until 1916. In 1919, he predicted that starlight would bend in the vicinity of a massive body, such as the sun. This theory was confirmed during a solar eclipse and cause Einstein to become world renowned after the phenomenon. Einstein received be Nobel Prize in Physics in 1921. With his new fame, Einstein attempted to further his own political and social views. He supported pacifism and Zionism and opposed Germany's involvement in World War I. His support of Zionism earned him attacks from both Anti-Semitic and right wing groups in Germany. Einstein left Germany for the United States when Hitler came into power, taking a position at the Institute for Advanced Study in Princeton, New Jersey. Once there, he renounced his stand on pacifism in the face of Nazi rising power. In 1939 he collaborated with other physicists in writing a letter to President Franklin D. Roosevelt informing him of the possibility that the Nazis may in fact be attempting to create an atomic bomb. The letter bore only Einstein's signature but lent credence to the letter and spurred the U.S. race to create the bomb first. Einstein became an American citizen in 1940. After the war, Einstein was active in international disarmament as well as world government. He was offered the position of President of Israel but turned the honor down. Albert Einstein died on April 18, 1955 in Princeton, New Jersey.Stephen William Hawking was born on January 8, 1942 in Oxford, England. As a student at Oxford University, Hawking studied Physics, and after three years was awarded a first class honors degree in Natural Science. After gaining a Ph.D. from Cambridge, Hawking became a Research Fellow, and later on a Professional Fellow at Gonville and Caius College. Widely regarded as one of the greatest theoretical physicists since Einstein, Hawking has held the post as Lucasian Professor of Mathematics at the University of Cambridge since 1979. 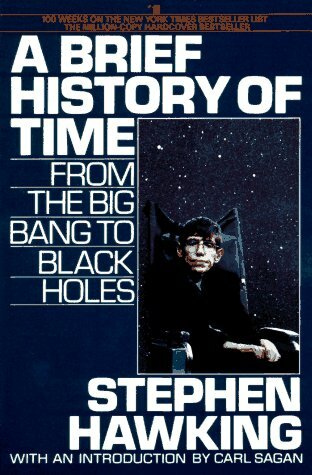 Most famous for his research on black holes, he has written the books A Brief History of Time and Black Holes and Baby Universes, a collection of essays published in 1993. He also authored the books On the Shoulders of Giants, A Briefer History of Time, The Universe in a Nutshell, and The Grand Design. Hawking is also the author of numerous articles for scientific papers, has 12 honorary degrees and is a Fellow of The Royal Society and a Member of the U.S. National Academy of Sciences. Hawking was diagnosed with Lou Gehrig's disease in his early 20s and is now confined to a wheelchair. He uses a computer device to help him speak. Hawking holds a professorship at the University of Oxford.